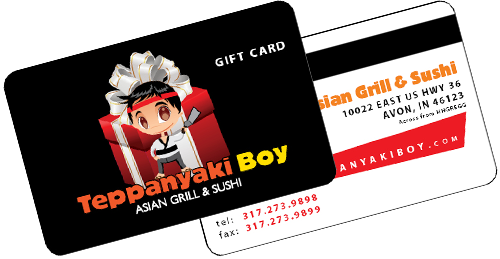 Teppanyaki Boy gift cards are great gift for family, friends and co-workers. See store for details. Copyright © 2011 Teppanyakiboy.com All rights reserved. Site by ADG.